Bentley Walker KA-Band Freedomsat now in Libya! Satellite Internet forum › Avanti-Hylas Ka band services - EU, ME, Africa › Bentley Walker KA-Band Freedomsat now in Libya! We are very happy to announce that the KA-Band Freedomsat is now available over ALL of Libya. An exclusive beam has been steered, allowing us to offer the same high speed KA-Band service available in the Middle East, over the entirety of Libya! We have a huge range of packages available from Consumer to Corporate using a 74-98cm dish system, and can offer services on both the iDirect Evolution range and the Hughes HX90. We have excellent management tools available, great hardware discounts and trade pricing, if you are interested in reselling our service please contact me immediately at david@bentleywalker.com or alternatively our Sales Team at sales@bentleywalker.com and we will be very happy to assist! Our internet Business Group Iraq has ties with Lybia and wants to order first 5 units. 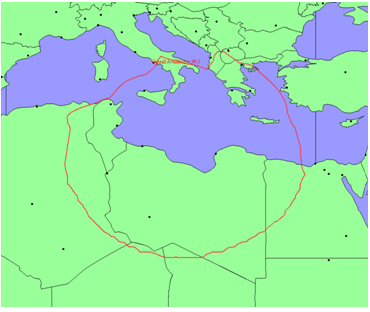 Is there any experience as yet available with some parts of Lybia ? We know, but the Q. was how are the practical experiences ? We have an order pending for 5 units, and I have to go over there for training crew, so I am anxious to gather as much info as I can ? The systems are very easy to install, each modem has an inbuilt signal finder and we have had no issues installing... we have confirmed 74cm's can now be used on coastal locations, and 98cms in all other locations. We have now launched a new HN9200 NOC on our Hylas 2 Libya service. This means that we can now offer services using the Hughes HX90, Hughes HN9200 and iDirect Evolution X1 & X3. The HN9200 is an excellent consumer end system opening a new market for customers requiring extremely low cost equipment!